We had SEABC&S' Day of Prayer (Fasting Prayer) on Oct. 5th, 2018 from 8:30am to 2:00pm. We all stood up and praised God by singing hymns such as "How Great Thou Art," "God is Bigger than Any Mountains," "Sweet Hours of Prayer," etc. Right the way we all gave thanks to the Lord for His guidance, protection, provisions, etc. 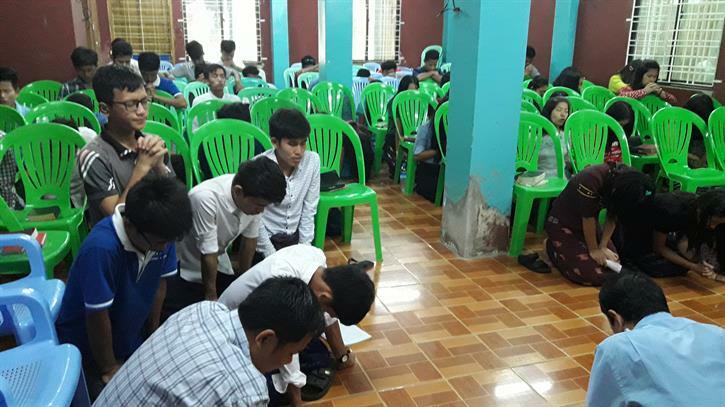 Some students shared about Lord's guidance and how the Lord provided their real needs spiritually as well as physically. 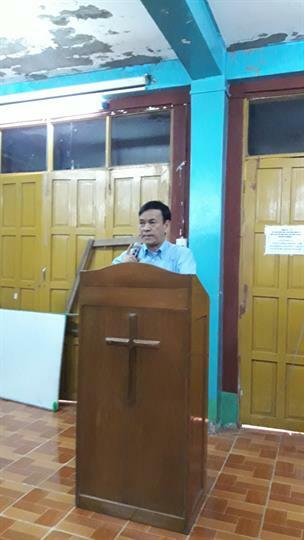 Kap (the President of the SEABC&S) preached the message "Prayer" based on 1Thess. 5:17; Deut. 4:7; Jonah 2:1. 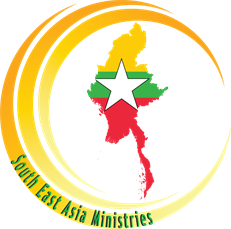 Then we all joined our hearts, knelt down and prayed together for the Gospel revival of Myanmar and around the world; for the government and the country of Myanmar; for friends and partners of SEABC&S; for the alumni and missionaries; and for the Lord's continuous guidance, protection and provisions, etc. Then we all stood up and sang a closing hymn "He Leadeth Me" and bro. Suan Khan Khai (lecturer) had the closing prayer. Thank you so much for all your prayers and partnerships. Bro. 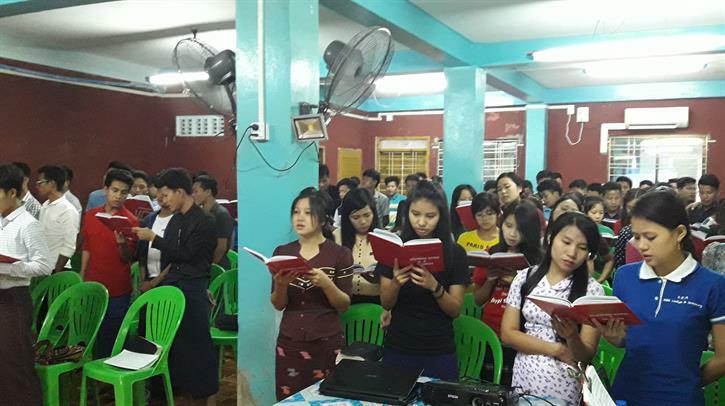 Tin Htay who is our missionary in Mandalay reached the unbelievers with the Gospel. By God's grace, Mr. Chit Ko accepted Jesus Christ as his personal Savior and Lord on July 1st, 2018 and took the Believer's water baptism on July 8, 2018. 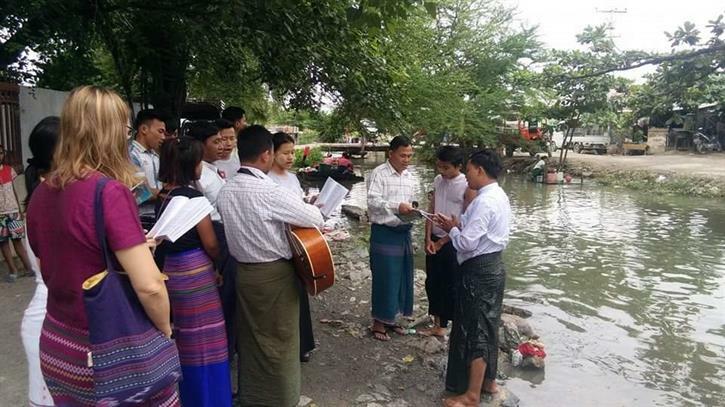 Another unbeliever namely Mr. Aung Aung accepted Jesus Christ as his personal Savioue and Lord on Sept. 24, 2018. Please pray for the spiritual growth of these new converts.